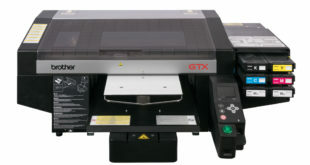 The DTG-QM8 will demonstrate its potential at P&P LIVE! 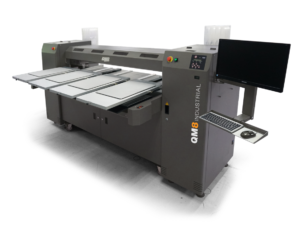 The DTG-QM8 from DTG Digital has now arrived in the UK and will be making its debut appearance at Printwear & Promotion LIVE! in January. This high-speed industrial production ready textile printer delivers incredibly sharp colours and clarity at a highly competitive price, while providing a greener solution. An enhanced eight-colour ink range delivers an extended colour gamut over four heads, great hand and light-fastness to all-natural fibres, 100% polyester and blends, and has been hugely successful with applications for cut piece textile and even full hide-leather digital printing. The DTG-QM8 is the perfect solution for delivering high-quality printing with incredible speeds – up to four printed products in just over 30 seconds, which works out at upwards of 300+ pieces per hour.